Kids in Fife have been on their holidays for a good few weeks now and as parents it might feel like you're starting to run out of things to do especially when the weather's a bit rubbish. I feel your pain, it doesn't seem like we've had much of a summer so far this year in Scotland. In light of this I've put together a little list of things to do in and around Fife (where I live) with your little ones. Hopefully some of my ideas will give you inspiration on keeping your kids busy and out of mischief until they go back to school/ nursery. If anything it might give you some ideas for future use. 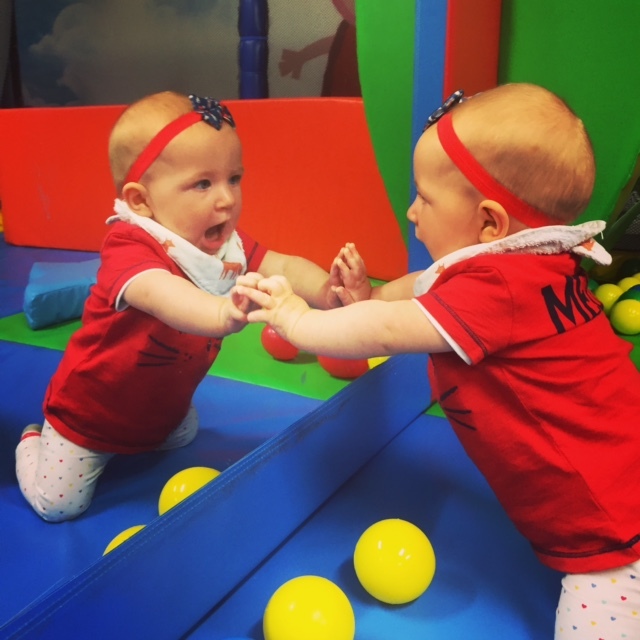 When the weather's rubbish we all love a good soft play session so here's a list of a few we frequent during the rainy days. 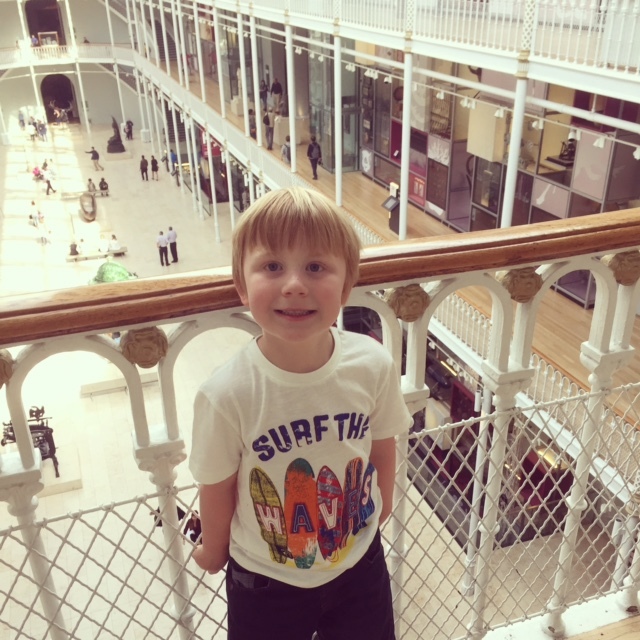 The Wee Kingdom and Snappy Play are small soft plays, Bongos is medium sized, Noah's Ark and Wonder World in Kirkcaldy are quite big and Wonder World in Falkirk is massive! Plenty to take your pick from. Again when the weather's not at it's best there's always some good indoor visitors attraction to go and see. There's lots of good swimming pools but the Olympia in Dundee seems to be the one we visit the most. It's clean, tidy and is the perfect temperature for the whole family. They have a purpose built toddler pool which is nice and warm with a little water play park in it. There's the big pool which is basically a huge wave pool and also has a rapid river running just beside it. It's fast by the way! If you're little one is into flumes then this swimming pool has four. Three are suitable for kids that can't swim yet and two of them kids can go down with an adult so no disappointed faces or tantrums. The National Museum of Scotland is actually free to enter. It has lots of interactive objects and things for kids to do. You'll be kept busy here for at least a couple of hours. 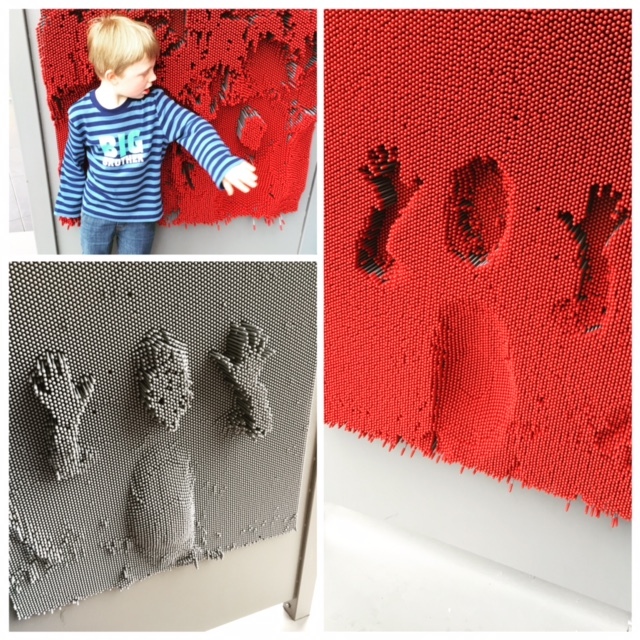 This is a great little science museum which is very interactive for the kids and depending on what time of year you go they always have different activities on. We went when they were doing a dino dig so Logan could pretend to dig up some dinosaur bones. I haven't managed to drag the family to see this attraction yet although we do have vouchers to use for it so must go soon. It's quite a tall building and you have to go up and round stairs so not suitable for prams/ buggies etc. If you've got really young kids then put them in a baby carrier so you have your hands free for the older ones. Travel back in time at this visitors attraction and discover how the Earth was made. Great fun for the kids, Logan really enjoyed himself here. See what lives under the sea, you may even spot a few sharks! We've not been to Deep Sea World for a little while but I did write a review on it a few years ago. You can have a read here: Deep Sea World Review. It was another blogger who recommended this place to us and thank goodness she did as it's fab. Thanks Susan K Mann, it's a brilliant place to visit with 3 floors of interactive joy. Kids of all ages will love this place. If you happen to get a nice day or the weather's dry at least then you should check out these lovely places. A lovely well kept zoo with plenty to do and see. As well as the animals they currently have some robotic dinosaurs roaming around the grounds! There's also plenty of places to have a picnic and there's a kids play park to keep little ones entertained whilst you eat. If you want to hand feed deer then this is the place for you. There's lots of different species to see, just buy a bag of deer food and off you go. The Scottish Deer Centre also have a play park for the kids and they do a lovely bird of prey display at certain times throughout the day. 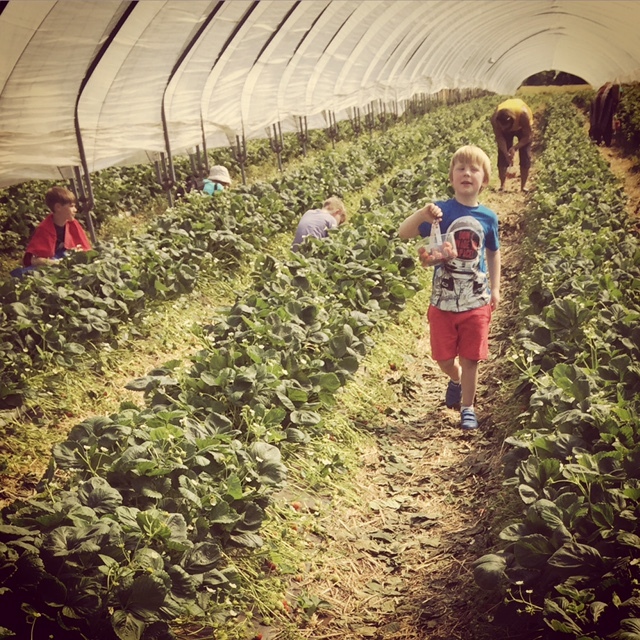 Bouncy pillows, tractor rides, grass sledging, tasty lunch, soft play! What more could you ask for in a children's attraction. This is one place sure to keep the kids busy and asking to go back. Similar to Muddy Boots however Cairnie Fruit Farm has a giant maze for you to chase the family round plus some awesome pick your own fruit areas. Strawberries, grapes, raspberries and even gooseberries! Haven't had those since I was in primary school. There's also a kids zip slid, sunken trampolines, grass sledging, bouncy pillow, hay bales to climb and a slide to go down. They have a nice cafe and gift shop too. So much to do and feel free to take a picnic. We haven't managed to make it here yet but I'm told it's an awesome day out with tons of animals to see, a big park, fairground rides and even a sea lion show! I'll definitely be making a point of organising a family day out here soon. A lovely little wildlife centre with lots of different animals to see. There's a hatchery so you can touch and hold the baby chicks, a soft play in case it rains, a massive play park/ picnic area, cafe/gift shop and plenty of little toy tractors to ride around on. Great fun for all ages and you can take the dog. The Kelpies are basically 30 metre high horse head sculptures and something you definitely have to take the family to see. They're in the Helix park which also have a nice big play park and pond in the opposite direction from The Kelpies. This is a great place to visit on a sunny day and you can spend hours here. Another one for the good weather is walking the Forth Road Bridge. You can park the car on the South side of the bridge for free and walk from there. You get some amazing views from the bridge and it's also good exercise. 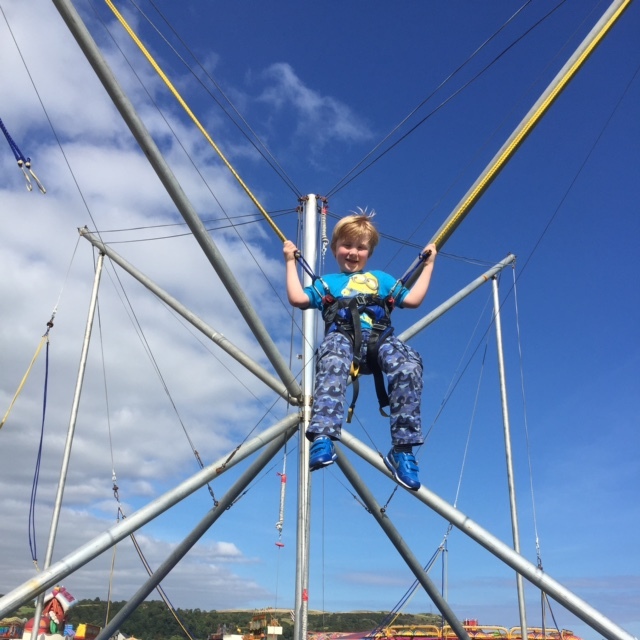 Fun for all ages at the Burntisland Shows with the caterpillar ride, fun houses, bouncy castles, tea cups, waltzers, catch a duck, bingo etc. Something different for the little ones and a chance to spend a few hours having fun. That's all the attractions and places I can currently think of that we've visited as a family or are going to visit in the very near future. 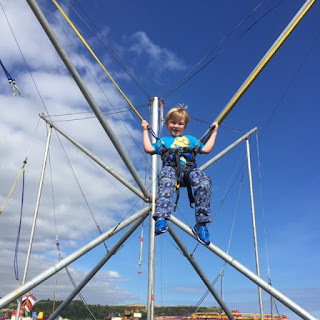 If there's any places in Fife or Scotland that you really like visiting with the family then please do let me know as we're always looking for new fun places to go. 0 comments on "Summer Holiday Fun in Scotland"